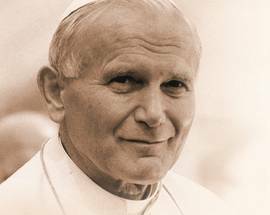 Polish pride, spirituality and reverence ran high on April 27th, 2014, when the country’s beloved Pope John Paul II was canonised by Pope Francis I. Aside from the Vatican, no city is more associated with the late pope than Kraków, which remained his spiritual home throughout his life. 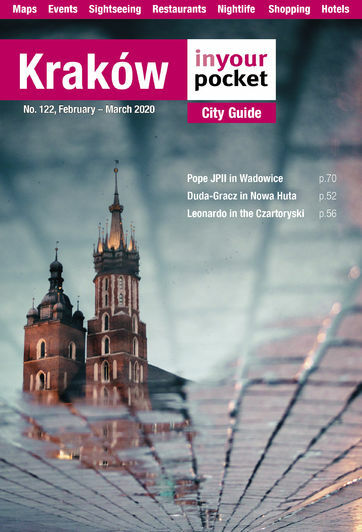 In Your Pocket takes a look at his life, legacy and some of the local sites associated with ‘Poland’s Pope’ in Kraków and the surrounding region. 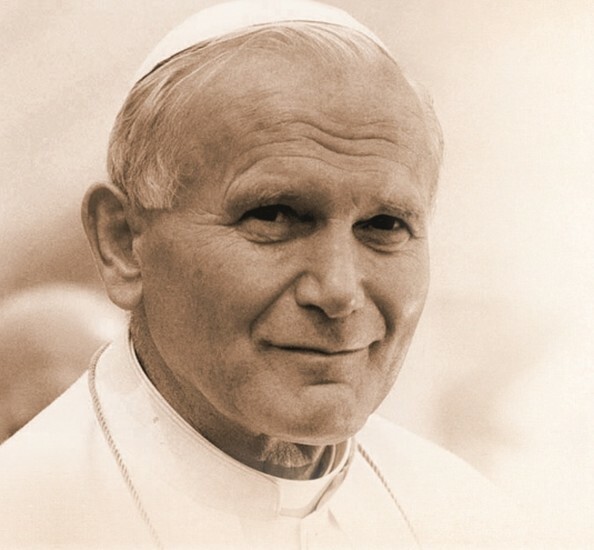 Born on May 18, 1920 in the small Małopolska town of Wadowice 50km southwest of Kraków, Karol Wojtyła was the second of two surviving children born to Emilia Kaczorowska, a school teacher, and Karol Wojtyła Sr., an administrative officer in the Polish army. His mother died in childbirth when he was nine years old, and his elder brother Edmund, an established doctor, died three years later after contracting scarlet fever from a patient. 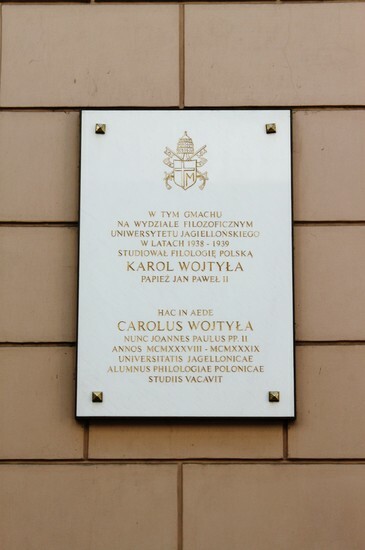 Graduating from high school in Wadowice in 1938, Karol Wojtyła immediately enrolled in Polish Studies at Kraków's Jagiellonian University, and moved with his father into sparse quarters at ul. Tyniecka 10 in Dębniki (today a small museum). In those days he was known more as a sports fanatic and outdoor type than for his religious beliefs, excelling as a swimmer, skier and adept goalkeeper. 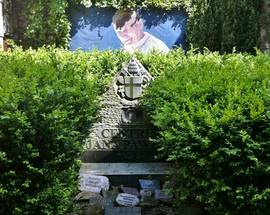 However, his father’s death from a heart attack in 1941 left him without any immediate family at just 20 years old, an event which some have argued led him more closely to the community and family offered by the Catholic Church. After a brief spell of military training in anticipation of the German invasion of Poland in September 1939, Wojtyła spent his days cutting stone at the Zakrzówek quarry and his nights studying theology. A continuing interest in the Arts also saw him writing poetry and performing in the Studio 38 underground theatre company in strict defiance of Nazi edicts. In 1942 he began clandestine seminary studies run by Cardinal Adam Stefan Sapieha, the Archbishop of Kraków. After the war he resumed his studies until his ordination as a priest on November 1, 1946. 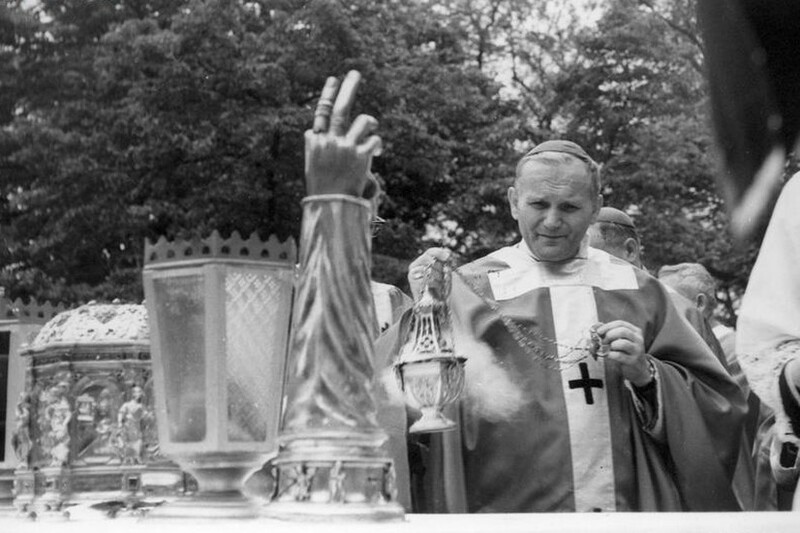 Wojtyła heard Mass every morning at the Church of St. Stanisław Kostka at ul. Konfederacka 6 near his home in Dębniki. He would preach his second Mass there on November 3, 1946, the day after delivering his first in the Crypt of St. Leonard, underneath Wawel Cathedral. 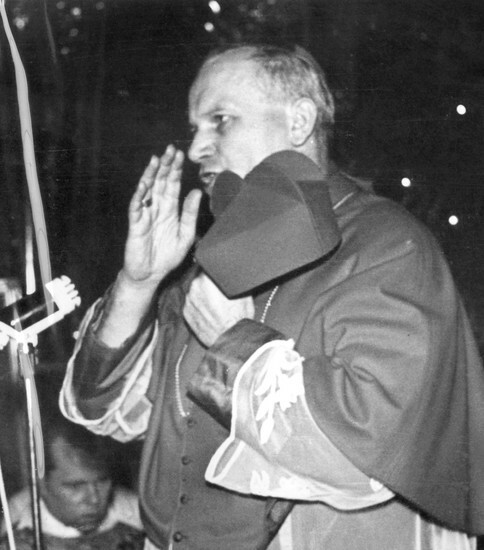 Shortly after, Wojtyła travelled to Rome to complete his doctorate in theology where he also ministered to Polish immigrants and refugees. 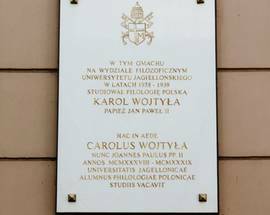 Appointed as auxiliary bishop of Kraków on July 4, 1958 at the age of just 38, Poland's youngest bishop spent the next five years living at ul. Kanonicza 19, now the city's Archdiocesan Museum. His final Kraków home where he lived from 1963 until his appointment as Pope was the Bishop’s Palace, adjacent to St. Francis' Basilica at ul. Franciszkańska 3. 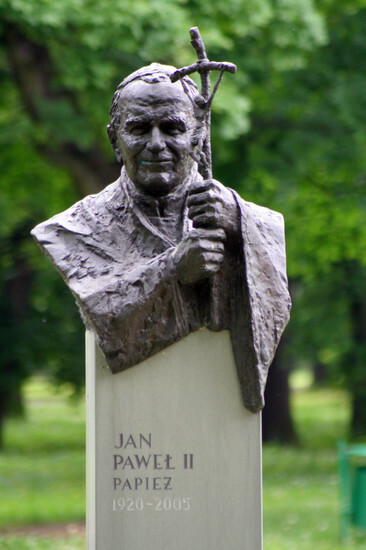 He became a cardinal in 1967 and, in what was viewed as a shocking appointment at the time, Wojtyła was elected the 263rd Pope on October 16, 1978. His appointment made him the first non-Italian in over 400 years. 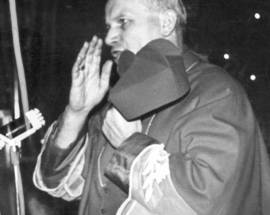 Wojtyła’s nomination to Archbishop in 1958 was originally supported by the Communist Party of Poland, who initially saw him as a benign character. However it wasn't long before he became a cause for concern. While never directly appealing for rebellion, his speeches had a discernable anti-Party subtext. In 1979, a year after assuming the papacy and the name of John Paul II, he returned to Poland in what is commonly regarded as the pivotal point in the downfall of the communist system. Preaching 32 sermons across Poland in nine days, the Pope created what has been called in some circles a 'psychological earthquake,’ encouraging Poles to have the courage to demand change. His brief return offered hope and unity to the Poles, lighting a flame that later exploded into the Solidarity revolution, eventually toppling Poland’s communist regime in the late 1980s. A failed smear campaign by the Polish communist authorities, and an assassination attempt in 1981, rumoured to be the work of a KGB/Stasi plot, did little to shake his faith, and he even later visited and forgave his Turkish assailant. Charismatic and at times unconventional, his hands-on approach to the papacy saw him visit 129 countries in pursuit of his vision of bringing together people of all faiths. His final visit to Kraków in 2002 will live long in the memory of many locals, culminating in a massive outdoor sermon that drew a staggering crowd of 2.5 million people. 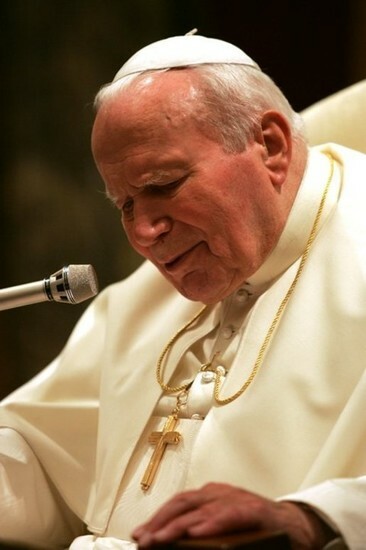 After over twenty-five years as pope, including two assassination attempts, several cancer scares, hearing loss and public diagnosis of osteoarthrosis and Parkinson’s disease, John Paul II passed away on April 2nd, 2005, plunging Poland into national mourning. Wawel Cathedral's Sigismund Bell sounded for the first time in a quarter of a century and bars and clubs across the country closed their doors as a mark of respect. Tributes from world leaders poured in, flags up and down the country were draped with black ribbons, and Vatican officials immediately began referring to the late pope as John Paul 'the Great.' 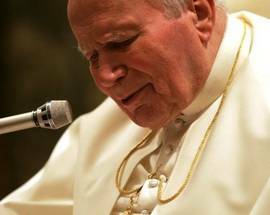 His papacy was the second-longest in history and left a lasting legacy, not least in his work to combat world poverty, his fierce criticism of armed conflict and his commitment to bringing the Church back to the masses. John Paul's case for canonisation was immediately commenced by his successor Pope Benedict XVI, who beatified him on May 1st, 2011, after the miraculous healing of a French nun from Parkinson’s disease was attributed to the late pontiff. The miraculous recovery of a Costa Rican woman from a terminal brain aneurysm on the date of John Paul’s beatification set the stage for his canonisation, which took place on April 27th, 2014, alongside that of Pope John XXIII. 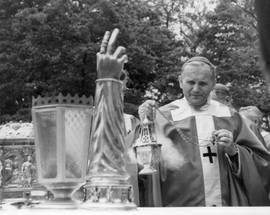 Before he was elected to the papacy, Karol Wojtyła spent 58 years living in and around Kraków. 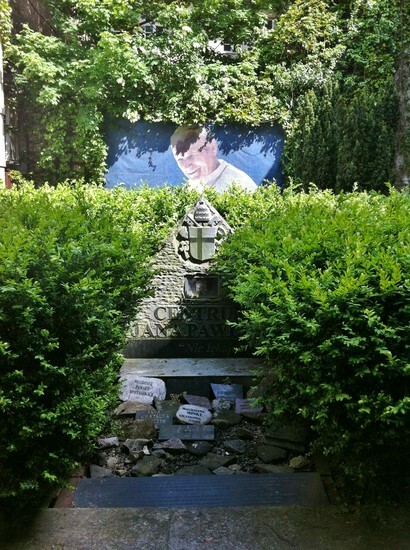 The region is literally riddled with tourist trails tracing his footsteps, and the number of places proclaiming their connection to the former Pope with plaques and monuments are too numerous to entertain listing here. The following sites, however, can be considered the most essential and have the most to offer tourists and pilgrims wishing to explore the former pontiff’s local legacy. 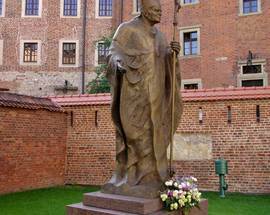 All can be easily visited on your own, or you might consider one of the scores of Pope tours offered in Kraków by the companies listed in our Guided Tours section. 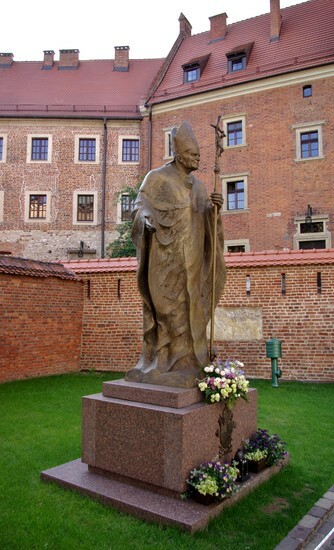 For a walking tour of the most-centrally located Pope-related sites in Kraków, visit our blog. 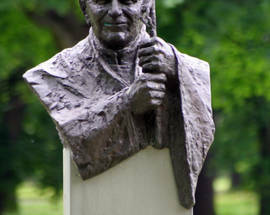 This six-foot statue in Park Strzelecki was designed by Czesław Dzwigaj, and unveiled on July 1, 2000 by Cardinal Franciszek Macharski.